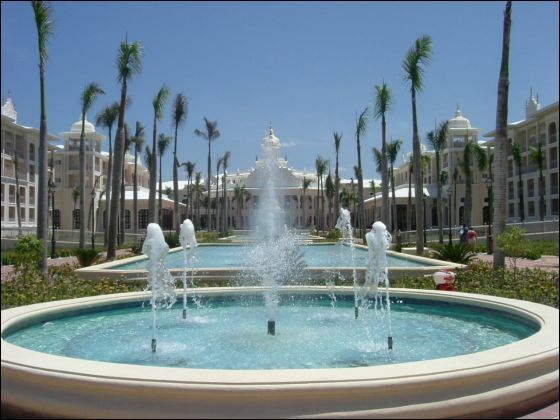 The very latest addition to our outstanding resorts in Dominican Republic, Riu Palace Punta Cana achieves an even higher level of luxury, comfort and beauty. Located on a spectacular stretch of white sandy beach, this magnificent property proudly boasts 612 junior suites, all with hydro-massage bathtub and Riu's distinctive amenities, such as a mini-bar and optics. Room service 24 hours a day and 24-hour All-Inclusive (snacks and beverages) complement the wide array of gourmet restaurants and bars available. 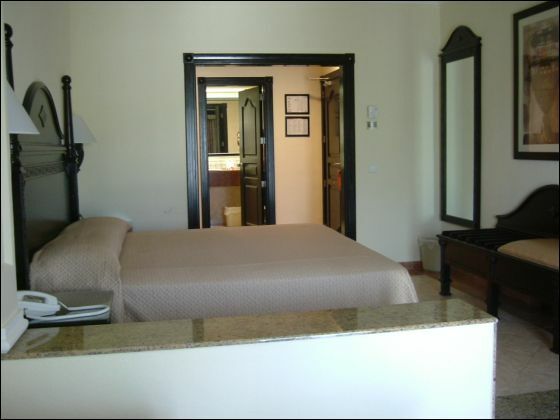 Exchange privileges entitle guests to access to the 4 sister properties in the resort. Transfers were good. It just seems to take forever since you have so many stops but no problems. Beach was amazing!!! I mean absolutely AMAZING! Bar staff was AWESOME! Leo, Victor, Melo, Saul, Joselo… they are all awesome & always singing & dancing & happy to help you. Service was awesome. Ronnie & Juan 1 are both so friendly at the buffet & all of the others that waited on us were great. All smiles & friendly! Food was good but next time we will probably stick to the Italian & buffet because the rest were ok, but the Italian was great & the buffet always had plenty. They have “Themes” for dinner & that was fun. Rooms were very clean. We had a 3rd floor room so didn’t notice the musty smell that we had on the lower levels. The maids were cleaning all of the time & even had turn down service when they straightened up even more. Entertainment was ok. We really enjoyed the Nightly dances with the staff. Great time with a very friendly staff. 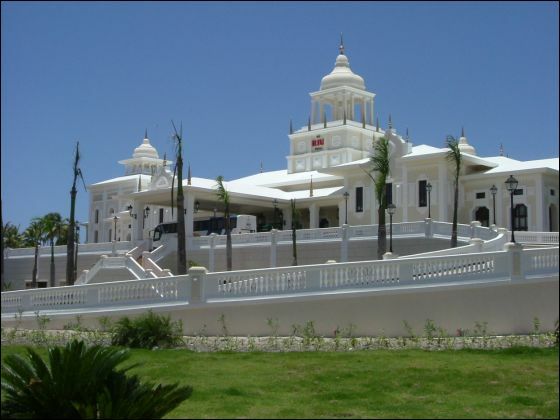 This was our 3rd time to Riu Palace and we will return. I would recommend this resort to anyone that enjoys a relaxing vacation. There are plenty places in the shade to enjoy the beach or there is beach volleyball & several other games to play. The pool is more exciting especially on weekends. I have used Discount Charter Vacations (Marcy) and have always been so impressed with their attention to detail & helpful in every way. I would never use any other travel agency to plan any of our trips. Thanks to you ALL for all of your help with another GREAT vacation. 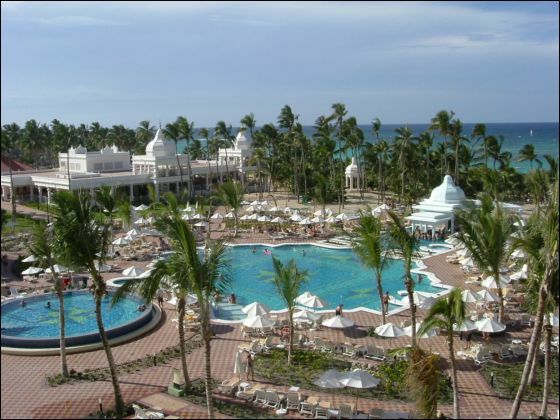 We did have a great time in Punta Cana and the Riu Palace Punta Cana was beautiful. We understand now why you have stayed there so often yourselves! 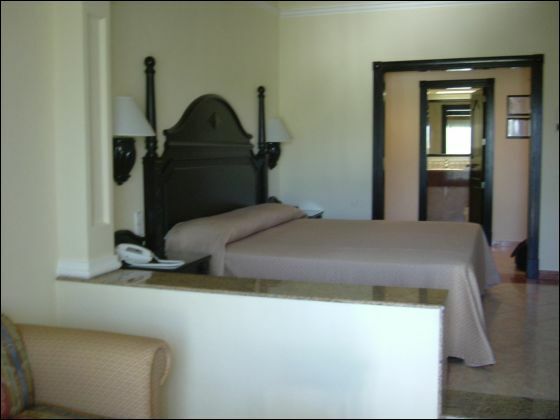 The room we had was close to the beach and the pool. 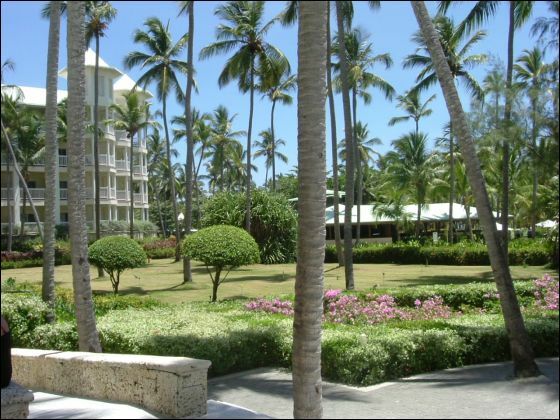 What we loved most about the resort was that everything was within walking distance. We did stroll down to Caribbean St. a few times, but the walk was good exercise. 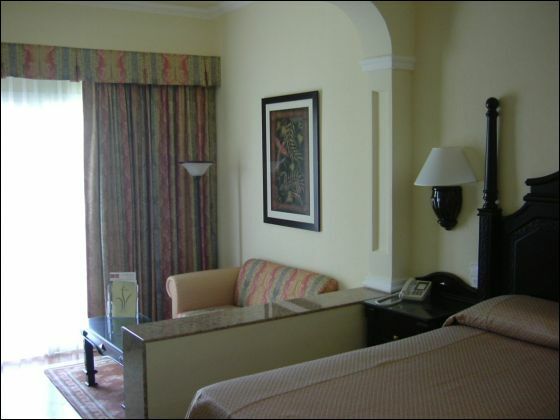 We would definitely go back to this resort, we would love to have the same room we had this time. 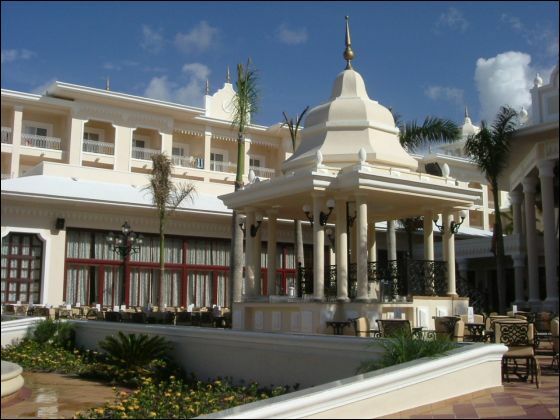 The Riu Palace Punta Cana was wonderful, beautiful place. The beach was perfect as was the ocean temperature. Our room was lovely. We would have liked the beer colder, they were having a hard time keeping things cold. The pool was too hot to go into but the pool at the Riu Bambu and Riu Tiano were perfect (we spent a lot of time there). The food at the ala carte restaurants was the best! We loved the gourmet and the steak house. If we did not have plans at home tomorrow we would have checked into staying longer, it was paradise. We would like to return next year! 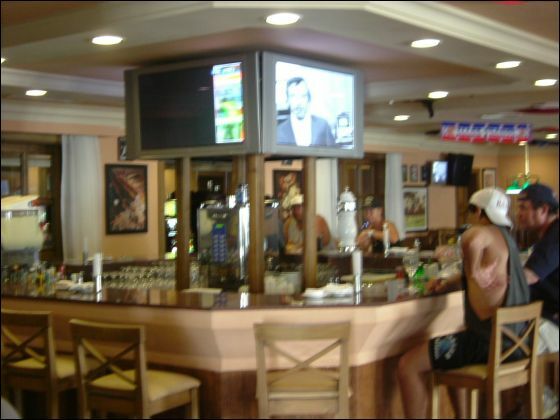 They had a beach bar and bathrooms close to the beach and pools. Keep us posted on any deals for a return and we might try this time next year. Thanks again for finding us this wonderful deal! My wife, daughter and I had a GREAT time. 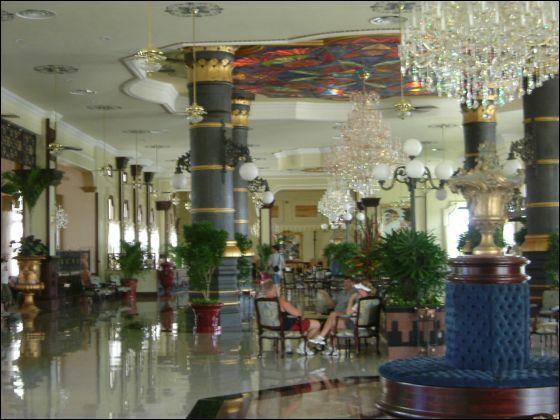 We loved the RIU Palace. The beach was outstanding-the most tropical beach we ever stayed on-we loved the rows & rows of palm trees! We had a blast on the snorkleing excursion to the marinarium! We thought it was fantastic value! Thanks for everything!